On Thursday, February 22 at 7:00pm, join CHUTZ-POW! 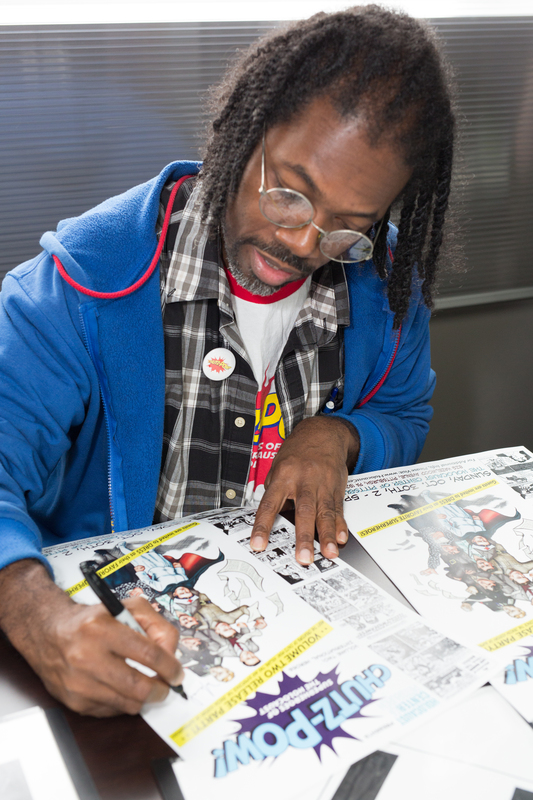 artist Marcel Walker as he teaches the basics of drawing figures and faces! Marcel was recently named Pittsburgh City Paper’s Best Local Cartoonist, and has 25 years of experience as an artist and teacher. 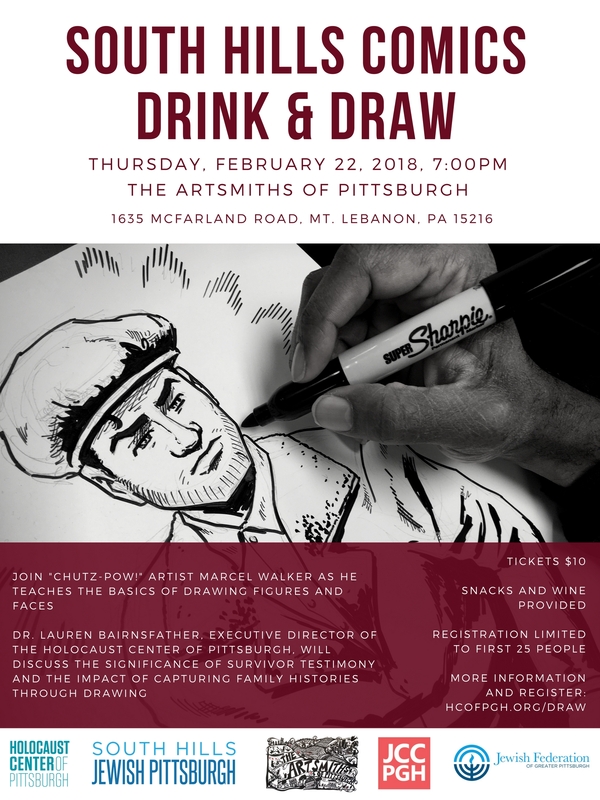 During the event, Dr. Lauren Bairnsfather, Executive Director of the Holocaust Center of Pittsburgh, will discuss the significance of survivor testimony and the impact of capturing family histories through drawing. South Hills Comics Drink and Draw will take place at The Artsmiths of Pittsburgh, 1635 McFarland Road, Mt. Lebanon, PA 15216. Tickets are $10 and include all the materials you need to get started drawing your masterpiece. Wine and light snacks will be provided. Registration is extremely limited, so be sure to sign up soon! Registrants must be 21+.